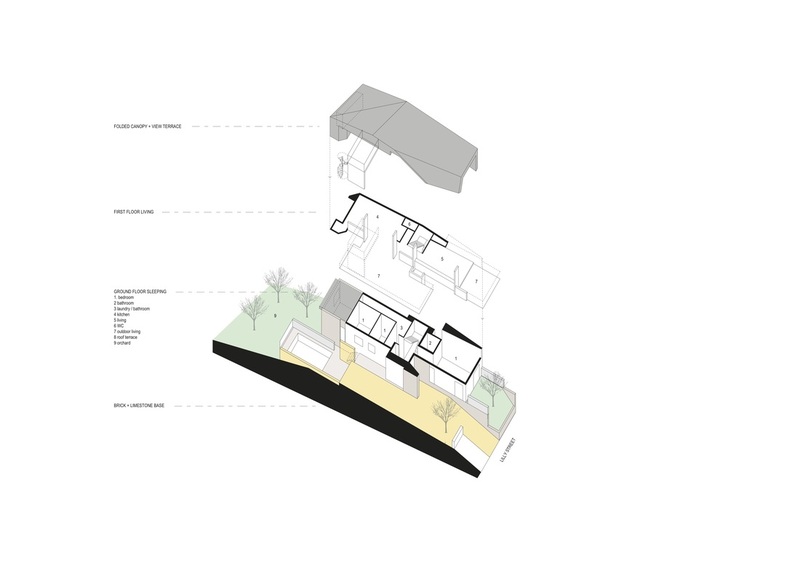 A project on a narrow, elevated block with dramatic topography. 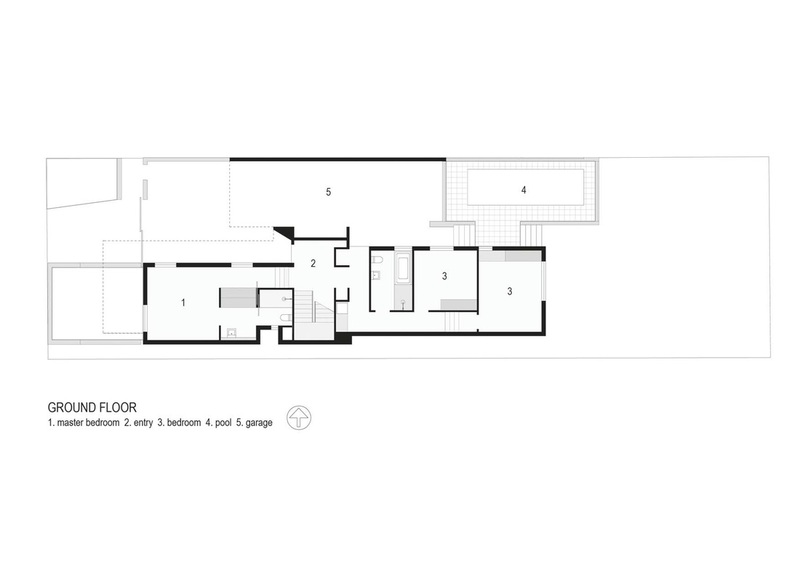 Living is placed upstairs to access views and northern light. 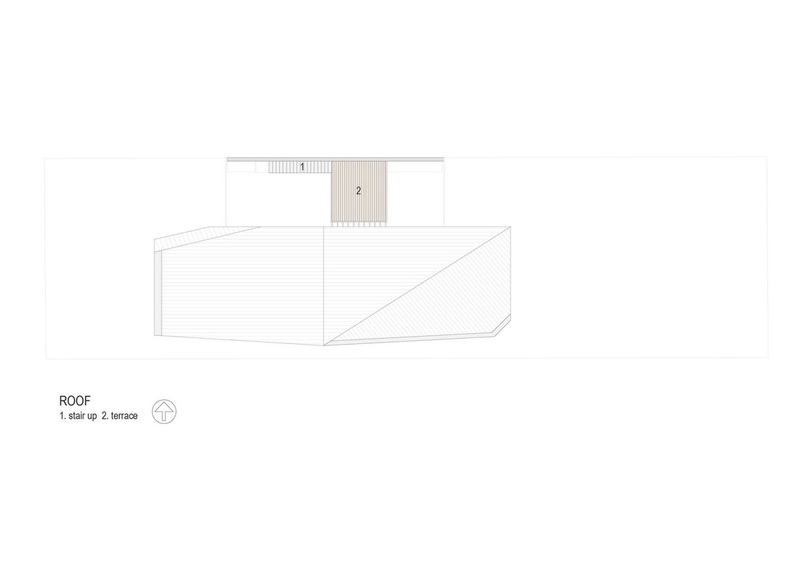 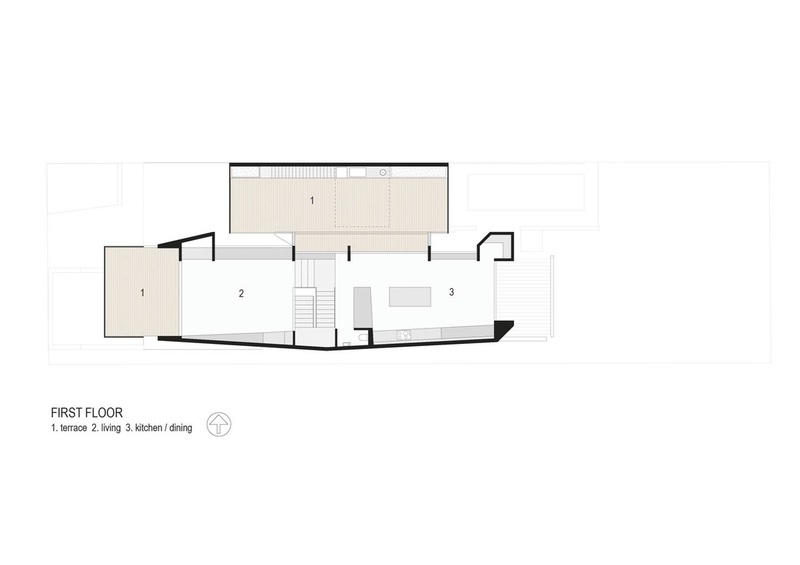 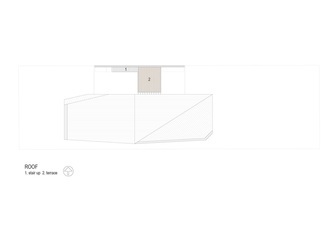 The first floor volume is sculpted to minimise overshadowing and to open up sightlines from terrace to sea. Cars are accommodated under this terrace away from the street, beyond the entrance courtyard. 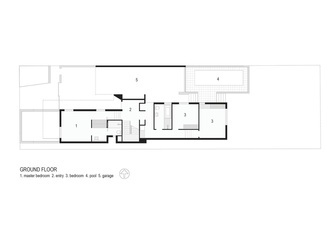 The main living space has been conceived as a stepped open volume organised by a colonnade of blade walls to the north and a central cabinet unit bearing fridge and pantry. 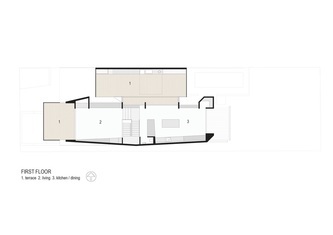 The project has recently obtained Planning Approval.